Caption slip reads: "Photographer: Mitchell. Date: 1958-08-28. Reporter: Waymire. Assignment: Austrian award. 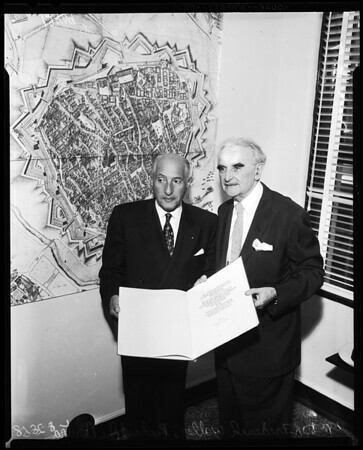 67-68: Dr. Frederick Waller, Consul General of Austria, presents City of Vienna award to Richard J. Neutra, architect".